Around GoPro, skateboarding is a means of transportation, a daily source of entertainment (mongo ...) and the source of some of our favorite content. Don’t believe us? Watch Chris Cole, Leticia Bufoni, Andrew Brophy, Sean Malto and filmer Chris Ray push their way through GoPro Skate: Streets of Tokyo. It’s the perfect balance of clips, culture and kickers. We’re not done with skateboarding in Tokyo either. 2020 will mark the first time in Olympic history that skateboarding is one of the competing sports. Mark your calendars for this big moment in skate history, and while your waiting, grab your crew and make a GoPro edit of what you get into for Go Skateboarding Day 2018. Grab an El Grande. This allows you to get super close GoPro shots, from a safe follow-cam distance. Two of the best in the business for this are GoPro Ambassadors, Mike Aldape and Chris Ray. Speaking of follow-cams—always make sure video stabilization is on (no Karma Grip necessary with this setting). Shoot in 1080p240 on HERO6 to lock in some slo-mo shots. Harness the power of Superview to get amazing POV shots. Utilize a variety of mounts—use Shorty as a drop cam or the new Bite Mount for POV shots. 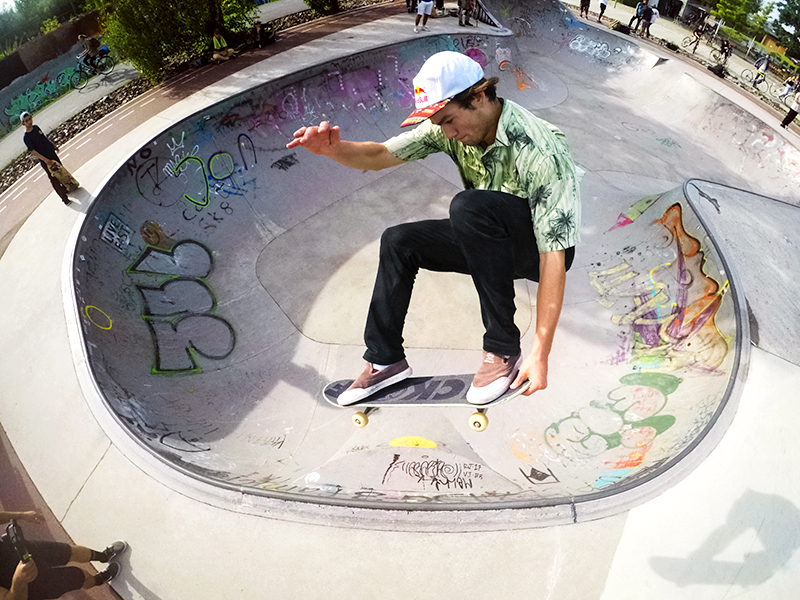 We’d also like to give a huge shout out to all of our GoPro skate athletes today. You all are some of the most talented, entertaining, resilient athletes we’ve had the opportunity to work with. Please share you #GSD2018 content to gopro.com/awards for a chance to earn cash and get featured across GoPro’s channels.